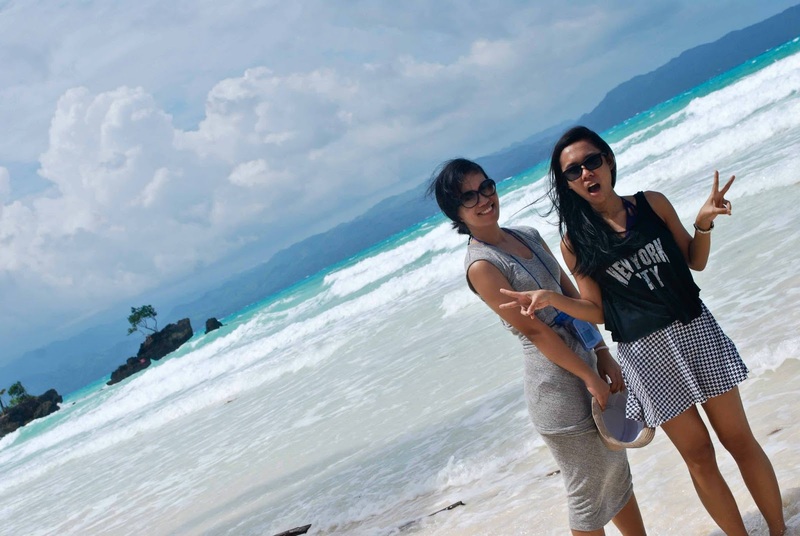 Unless you follow me on Instagram, you probably haven’t seen any photos from my trip to Boracay last (rainy) August. I realized I have been busy with work and all other engagements that I have completely skipped out on writing a blog post about it. So, today, I’m taking some time to at least share with you bits and pieces from our adventure. 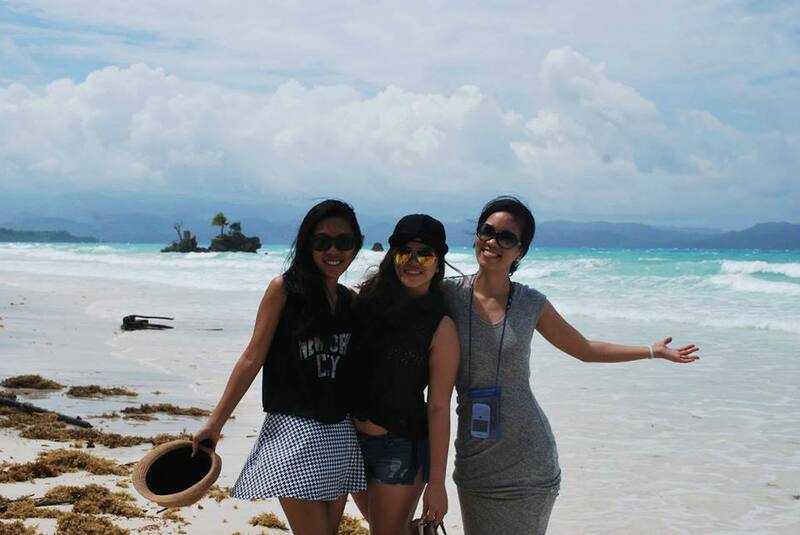 This is the third time I have been to Boracay. 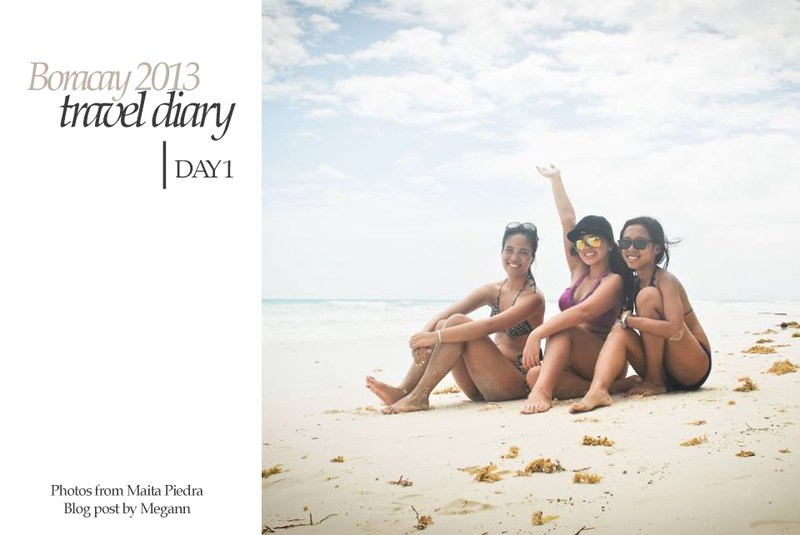 Last year alone, I went to the island twice—first for work (also my first time to go there), the second with friends. 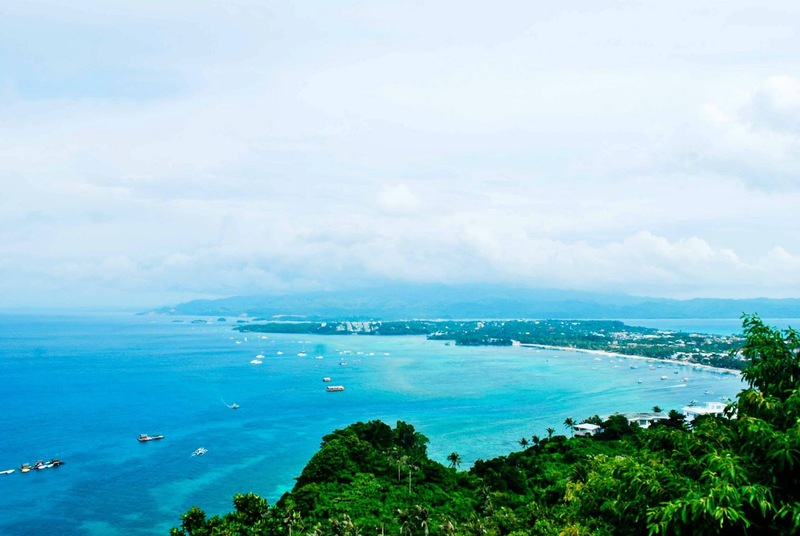 I fell in love with the island, the people, and the experience. 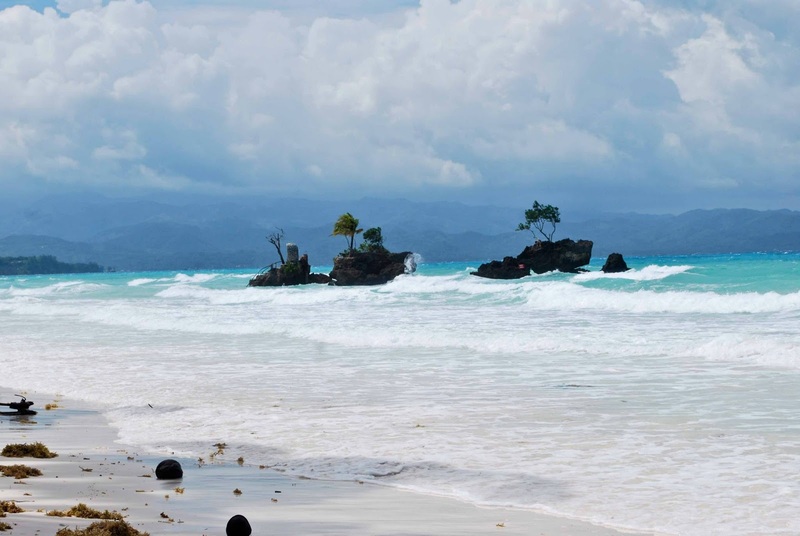 I know the Philippines offers a lot more island destinations I should conquer (and I eventually will, when I have saved enough and get some time off), but for someone who enjoys a combination of a relaxing beach life and awesome nightlife, Boracay certainly provided us with that. Our flight was terribly delayed on the day of our departure from Manila to Kalibo for several reasons: 1) bad weather; 2) delayed turnaround plane; and 3) no parking slot for our plane at the Kalibo airport. 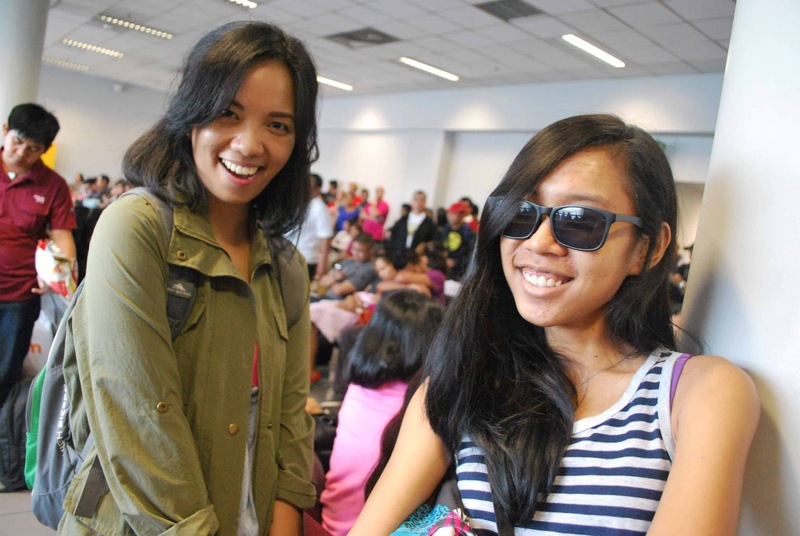 Our 3PM flight with Cebu Pacific ended up being a 9PM flight instead. However, I’d rather not dwell on the negative because it was still a memorable vacation in the end. We stayed at a hostel in Station 1 called Bambooze Hauz. If you are looking for a beachfront accommodation, this isn’t what you’re looking for. More so, if you want a luxury accommodation, this isn’t it either. Bambooze Hauz was simply what it was—a hostel. 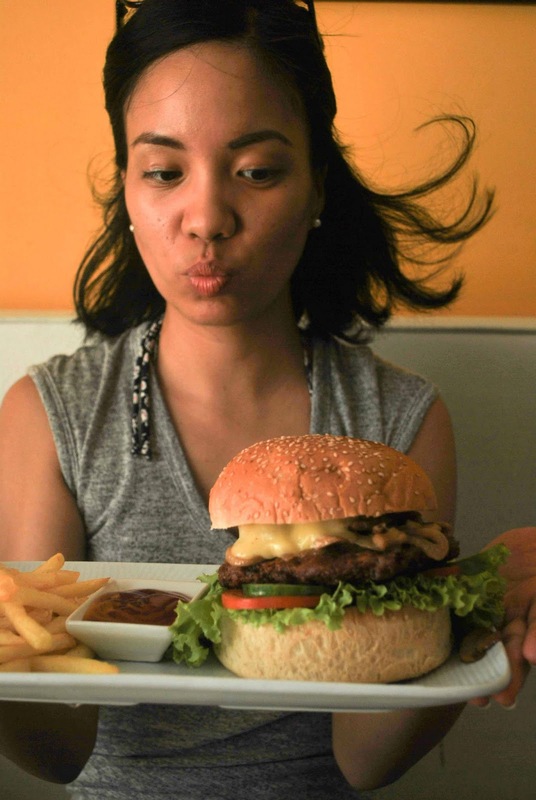 However, it is relatively new and costs a bit more than other hostels like FRENDZ and Tree House Boracay. The facilities are good enough and the staff were extremely helpful. 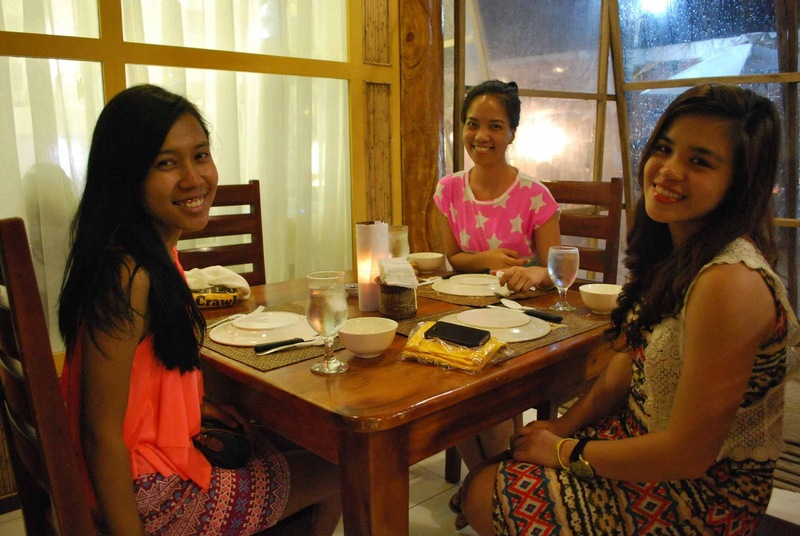 There was 3 of us and we stayed in an airconditioned room (all to ourselves) for a little over P1,000 per night. 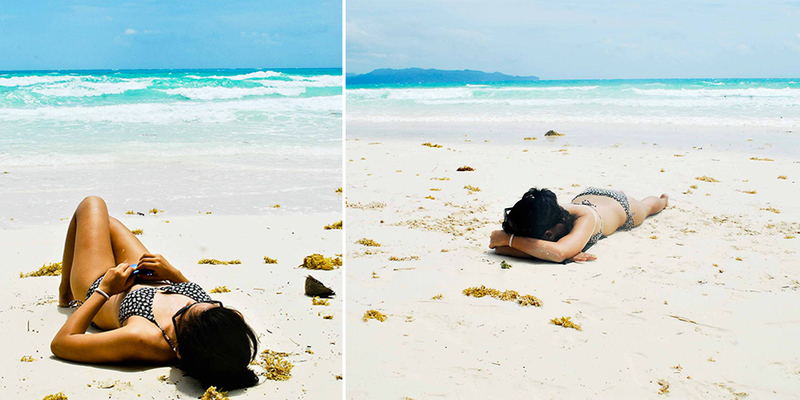 They were located inside a private compound and the White Beach was just a 5-10 minute walk away. I hear you can also stay there long-term, you just have to contact them. Our first day was jam packed! We spent the morning laying out on the beach and talking about what we wanted to do during our 5-day (technically 4 days because of the flight delay). Next, we rode the ATV around town, ending up at Mt. Luho View Point, where there was a spectacular view of part of the island. The ATV ride itself was such an adventure. It was my first time to ride an ATV and I had a lot of fun especially when I had to accelerate a little bit more—I was hoping for more speed though, but you know, safety first. Haha! I forgot the place where we had dinner, but we ordered a ton of food. I swear, I think we really did just go there to eat a lot…of seafood. Plus, crab was definitely a staple food for this trip—so much so that I even pierced my thumb trying to open one up! Just goes to show how dedicated I am…to eating. Haha! 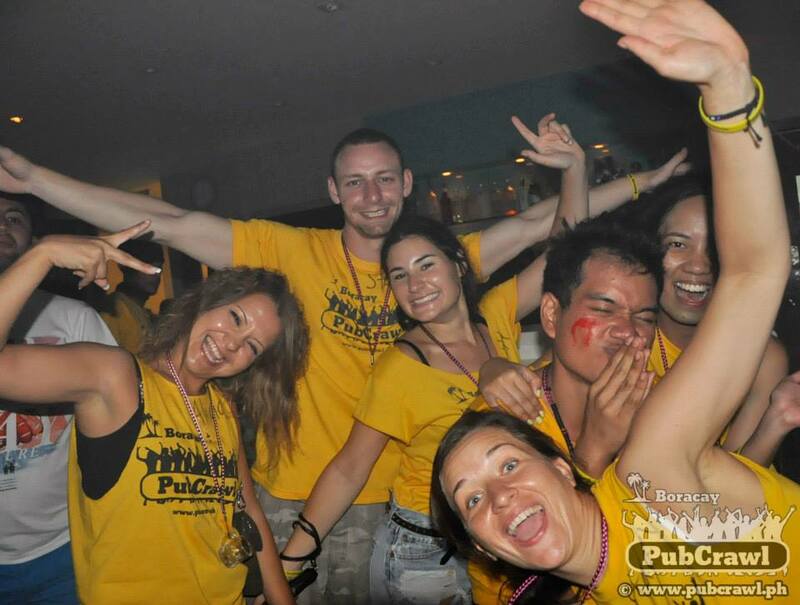 We ended the night with the Boracay Pub Crawl crew. 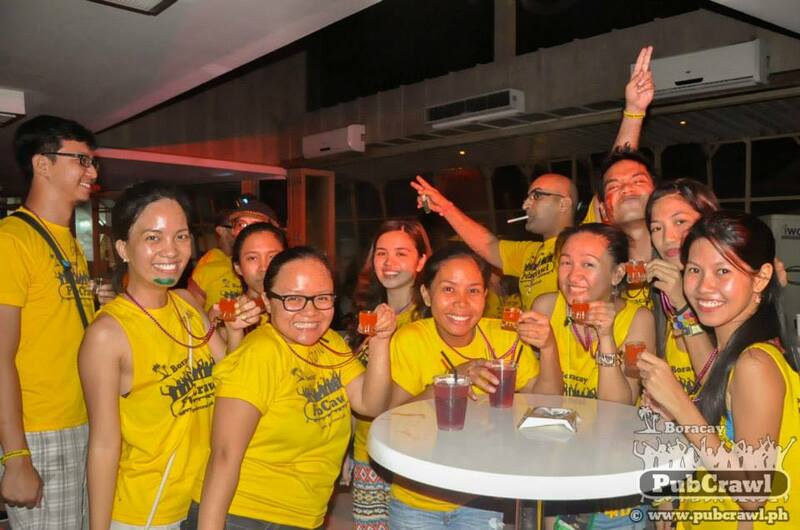 Along with other guests of the island, they showed us the Boracay nightlife, jumping from one bar/club to the next. 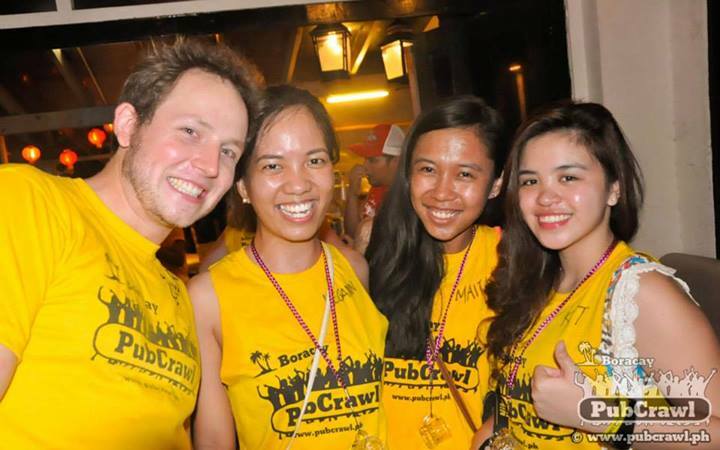 We also got free shots and discounted drinks at every partner establishment we went to; plus, Oliver (I believe one of the founders of the pubcrawl in the Boracay/Philippines), handed us some discount coupons we could use for the duration of our stay. Overflowing drinks and drunk dances aside, I was able to meet a lot of people from different parts of the globe. Our group was quite diverse, ranging from locals from Davao, and travelers from the US, Germany, Canada, and a lot more. I absolutely enjoyed talking with them and asking them about their travel adventures. It makes me want to drop everything and just travel as well! If only it was that easy, I probably would do the same in a heartbeat! I do hope to travel more in the coming months. Our night came to a close with new friends made and a night to remember. 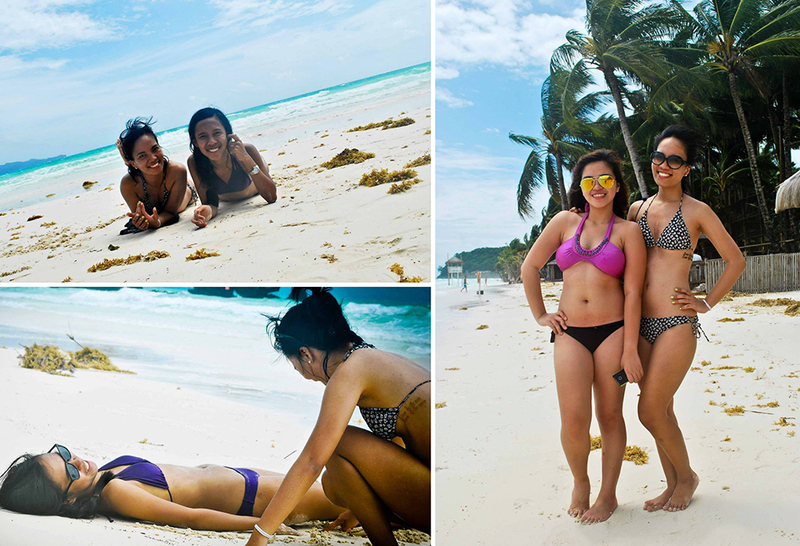 That wraps up day 1 of our Boracay 2013 trip. Catch day 2 of this trip next time!